Did you know? Crocodiles are the world's champion choppers with the greatest bite force ever measured for living animals. Did you know? Alpha Gold Series Drills give you more holes for your dollar! 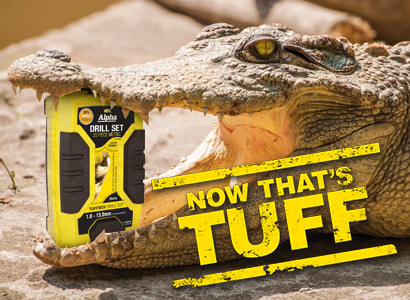 And did you know that Sheffield Blades has released a brand new, eye-catching Tuffbox Counter display with a video that features a crocodile and Alpha Gold series drills? View the video here.